Big Brother 2014: Twist Revealed! Double eviction this Friday! 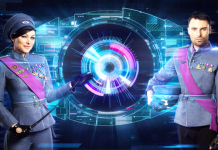 The latest Big Brother eviction has been revealed, a double eviction will take place this Friday. Big Brother 2014: Public to help Chris decide who to nominate next! Chris has already decided to nominate Pauline, Christopher and Steven but the public will help him to decide who he will nominate next. 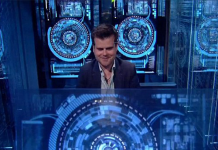 Big Brother 2014: Housemates to have MOBILE devices? Reports this weeks have claimed that housemates could be given iPads as part of the new Power Trip theme. 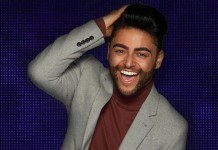 Big Brother: Power Trip Emma and Rylan’s new photoshoot! The new series of Big Brother will launch on Thursday 5th of June at 9pm on Channel 5 and it will once gain be hosted by the beautiful Emma Willis. Big Brother: Power Trip starts in June! A broadcaster for Channel 5 revealed advanced information for Saturday 31st of May to Friday 6th of June, with Big Brother being named as coming! Big Brother 2014 Theme: ‘Power Trip’ confirmed! The theme for this years Big Brother 2014 has finally been confirmed. Read all about it here and the twist the show has planned for the launch. Big Brother 2014 start date announced for Channel 5! The Big Brother 2014 start date has been officially announced. The new series of Big Brother will start in early June 2014 on Channel 5. 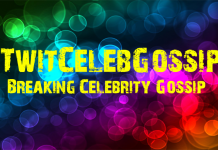 Emma Willis New Presenter Of ‘The Voice’ UK!